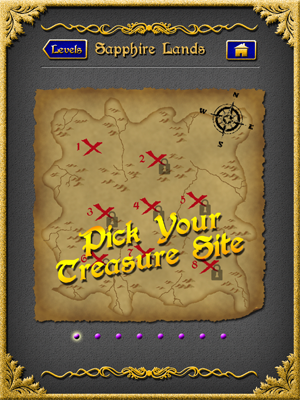 Lost Lands has a treasure hunting theme with a simple goal in each level —- picking up a gem to accumulate collection value. But you need to find your way through doors that open one way but block another. It starts with 4 doors, but as the number of doors increases, finding your way could be mind-boggling. 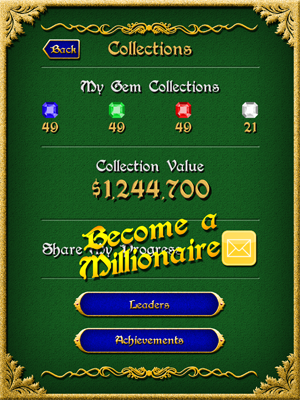 You are challenged to accumulate more than one million dollars of collection value. 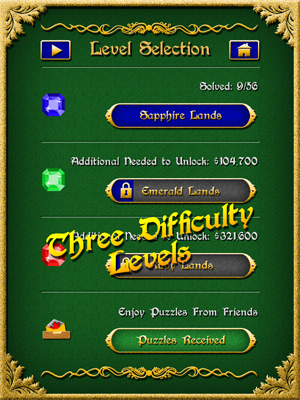 Seeking more challenge? 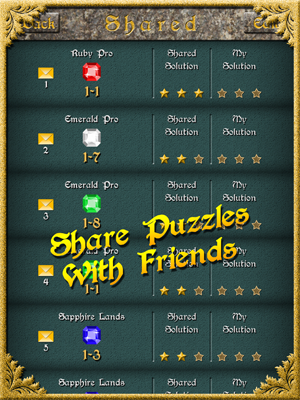 The game provides a second play mode where you are awarded with stars for shorter routes. 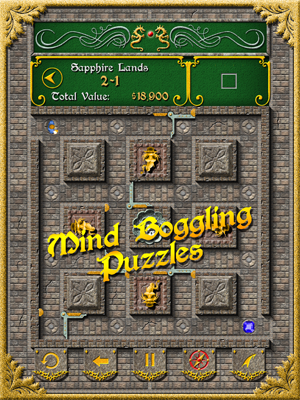 All puzzles are solvable within the given steps. 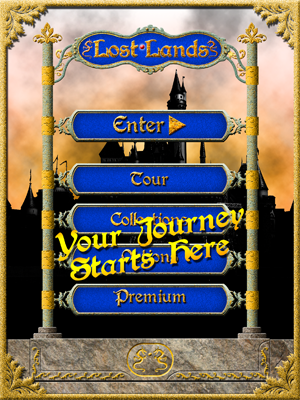 If you get lost, the reset, undo and hint system is always ready to help.